3/4 cup choclate chips or chopped choclate white or brown whatever you prefer. I used chopped white choclate. 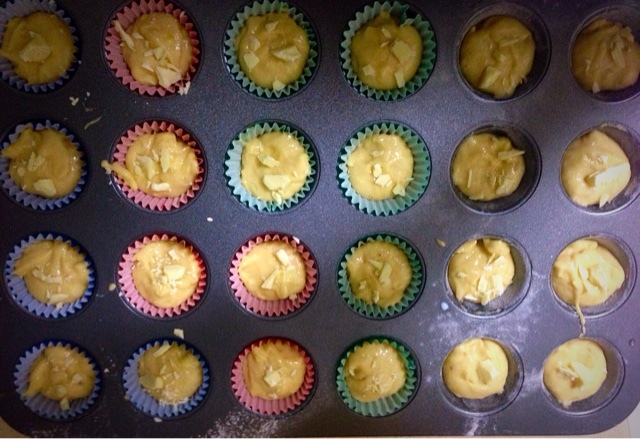 Preheat oven at 180C and prepare your Muffin trays. you can make 48 mini muffins or 12 large muffins with this quantity. 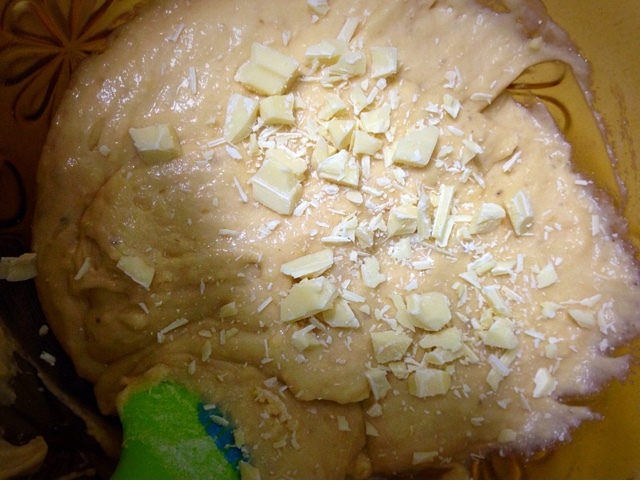 Melt butter, Add milk, eggs, banana puree and Vanilla essence. Whisk to mix well. Add dry ingredients to wet ingredients and mix with a wooden spoon gently. Mix choclate chips or chopped Choclate and stir gently, do not over mix. 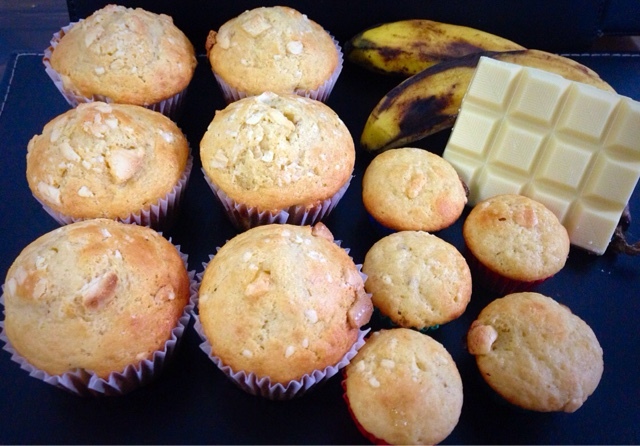 leave some chocolate to sprinkle on top of muffins. Fill muffin cases 2/3, sprinkle some choclate. bake on 180C until light brown on top. 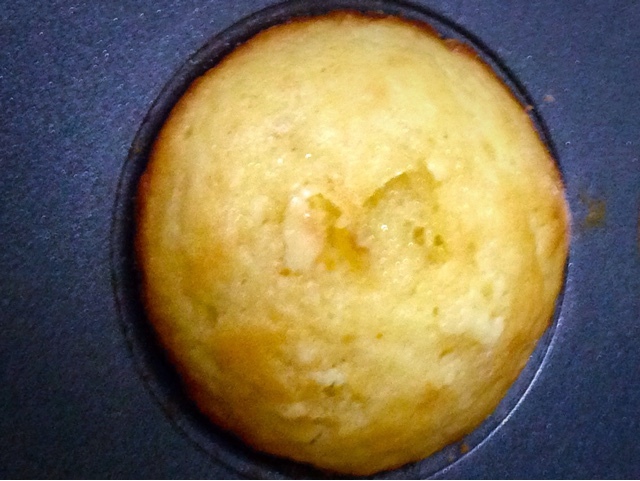 Approximately 20 mins for large size or 15 mins for mini muffins. 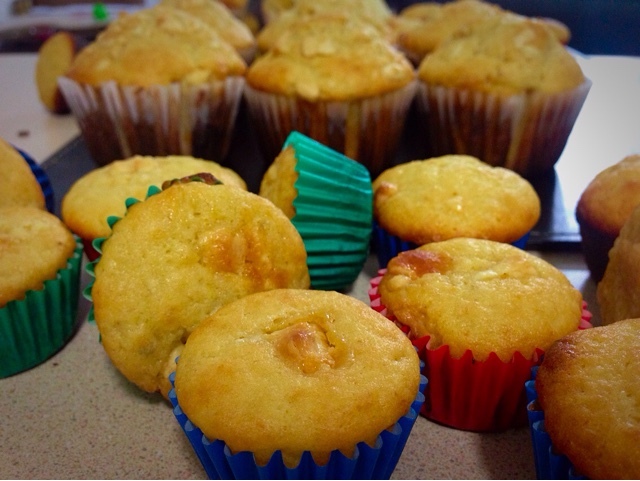 cool on wire wrack and your muffins are ready to serve.